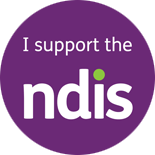 What is your current NDIS status? Which age bracket are you in? Do you require 1:1 support for more than 5 hours per day and also need 24/7 back-up on call support? Do you have a goal to live more independently in an apartment including using assistive technology and a shared model of support? What approvals do you have in your plan? Please provide your first name, last name and a valid email address.